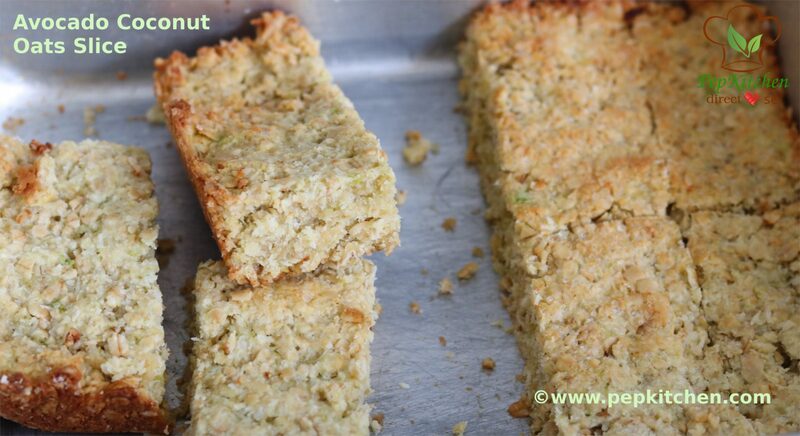 Avocado Coconut Oats Slice is an eggless and healthy slice made by baking oats, coconut, avocado. 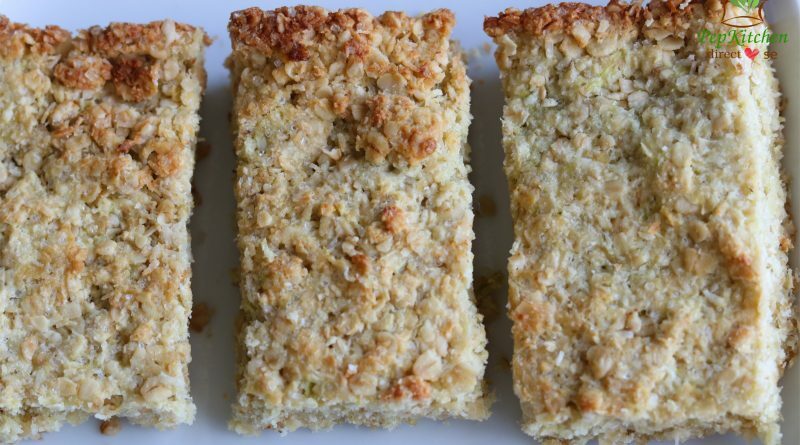 It is a very healthy breakfast and can be enjoyed as an afternoon snack with tea or coffee. It is a good option to pack for kid lunchboxes. Avocado has good fat. 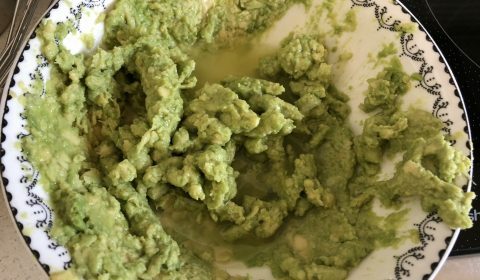 I have used less butter and replaced it with avocado pulp. Once cut, avocado is oxidized quickly. To avoid it from turning black add lemon juice over it and mix well the pulp. You can use nuts, dried fruits and seeds of your choice such as almonds, walnuts, hazelnut, macadamia, pepitas, sunflower seeds, chia seeds, raisins, sultanas, dried apricots, or dried cranberry. To make the slice healthier, use wholewheat flour in place of all purpose flour. Let the baked mixture cool completely at least for 4-5 hours before cutting into slices. The slices can be served warm with a cup of Greek yogurt or a scoop of vanilla ice cream. The slices can be refrigerated for a week in the refrigerator and can be frozen for couple of months. Friends, my family relishes these slices. My son likes to take him in his lunch box. 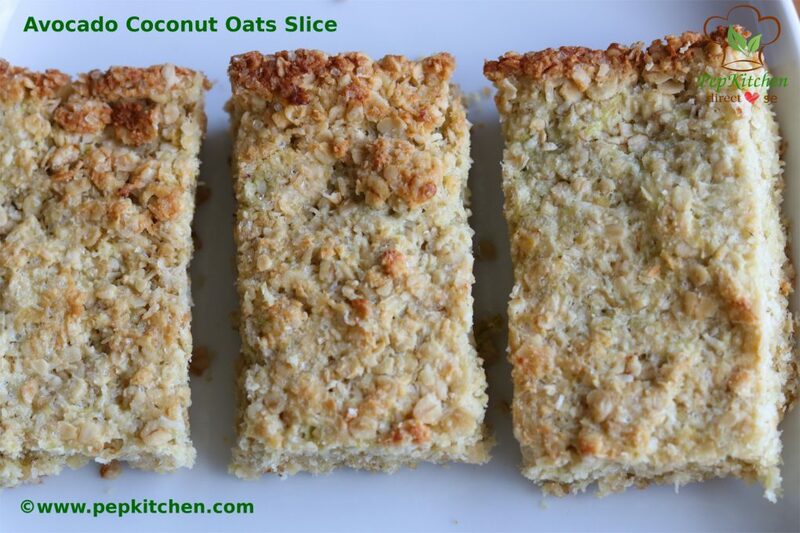 Do bake the avocado coconut oats slice and share your feedback with me ! 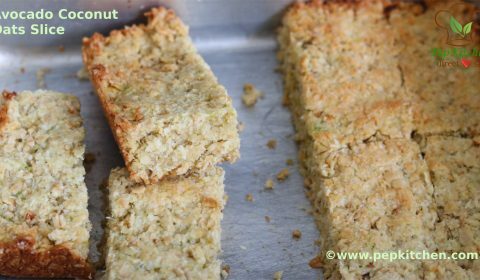 Avocado Coconut Oats Slice is an eggless and healthy slice made by baking oats, coconut, avocado together. 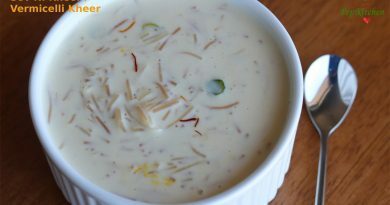 It is a very healthy breakfast and can be enjoyed as an afternoon snack with tea or coffee. It is a good option to pack for kid lunchboxes. 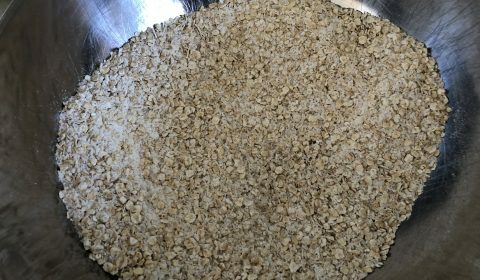 In a big mixing bowl, add quick oats, all purpose flour, desiccated coconut, baking powder and sugar. Mix them well. 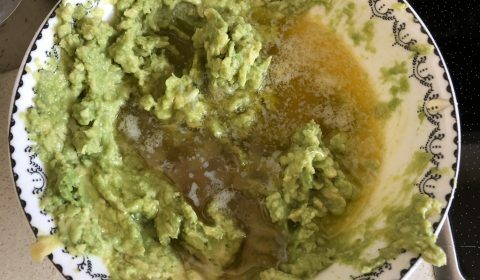 In another bowl, mash the avocado with the help of potato masher or fork (remove skin and the seed of avocado). Add lemon juice to it. (addition lemon juice prevents the avocado to get black). Mix well. 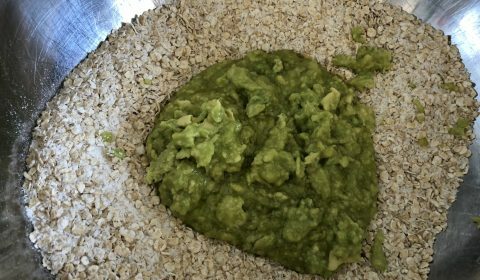 Add the avocado mixture to the prepared oats mixture. Transfer the prepared mixture to the baking tin. Press it with the help of hands or spatula. Smoothen the surface. 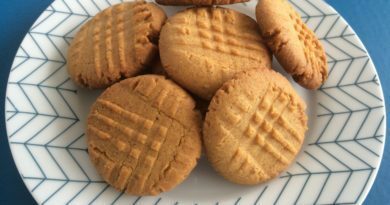 Bake the pressed mixture in the preheated oven @180 C for 25 minutes or until golden from top. 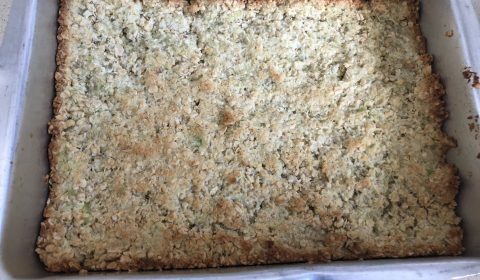 The avocado coconut oats slice is baked and ready. Let it cool and cut into pieces and serve. 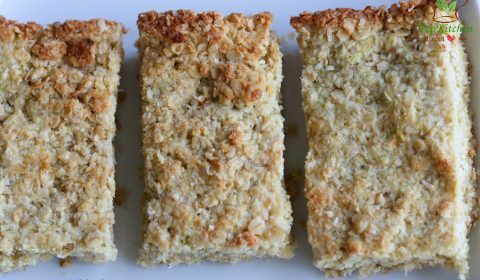 Enjoy avocado coconut oats slice with a cup of tea or coffee. Keep the remaining refrigerated and can be enjoyed for a week. 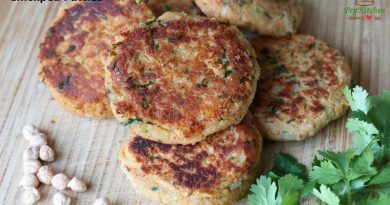 You can skip all purpose flour and add whole wheat flour to make the slices healthier. 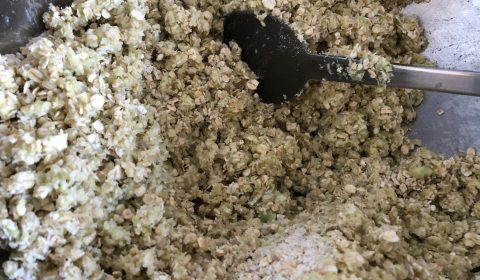 You can also add chia seeds and flax seeds powder . 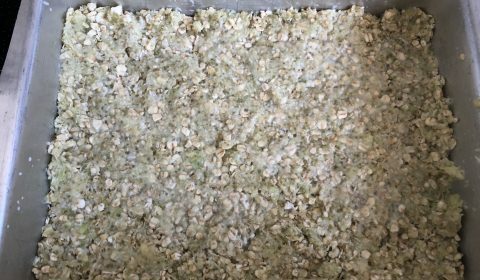 Add 1/2 cup desiccated coconut and replace other 1/4 th with chia seeds, pepitas, sunflower seeds,flax seeds powder, nuts such as walnuts, pecan, almonds and dried nuts such as raisins, dried cranberries, apricots, or dates. Since avocado is buttery, I have used less butter. Avocado has good fats.